Is it time for the bulls? 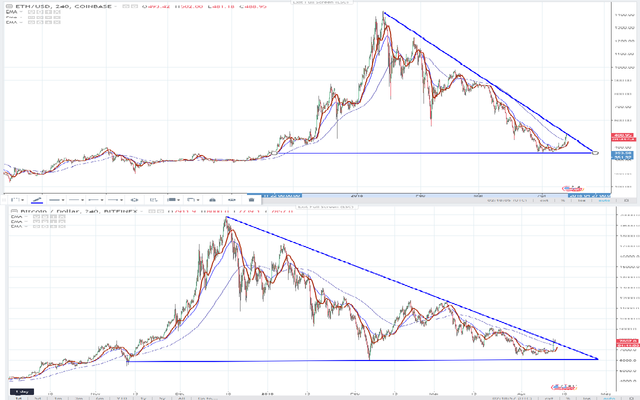 Will history repeat itself? Bitcoin broke out yesterday and the alts suffered again because majority of the traders are taking profits and cashing out their BTC into fiat, this was painful for the ones who are day trading their alts yesterday, but is it also good? will this be a delayed gratification? 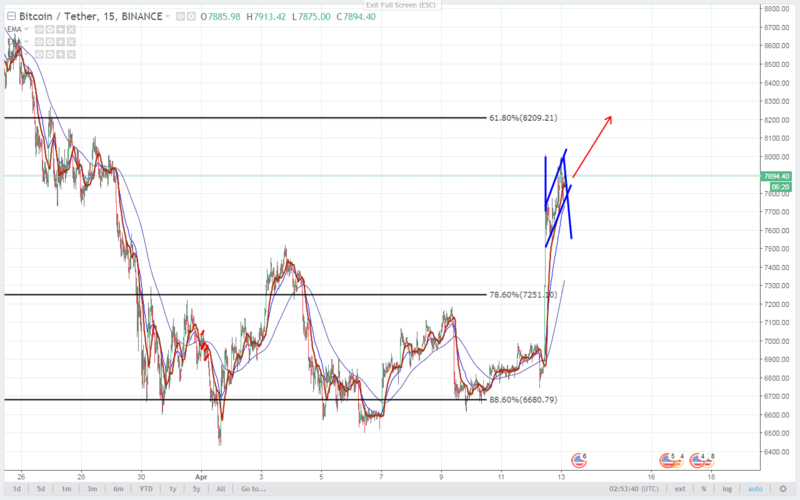 as you can see in a 4hr time frame LTC/USD BTC/USD ETH/USD BCH/USD which are the Bluechips have almost the same pattern a Bullish Pennant, and from my last post I mentioned what Bullish Pennant Pattern is capable of and in the comments I showed its result, and as you can see in the mini chart of coinmarketcap.com that they almost have the same pattern, and last year almost the same quarter the bull run started. Let us all see if we are really in a bullish market now and if we will experience again a bull run. We are all hoping for this bull run. Nice you did a good post..keep it up. Will consider this :) thanks for the update! Bitcoin is up by 13.51%, Ethereum gains 17.12%, and Ripple surges by 20.59%. 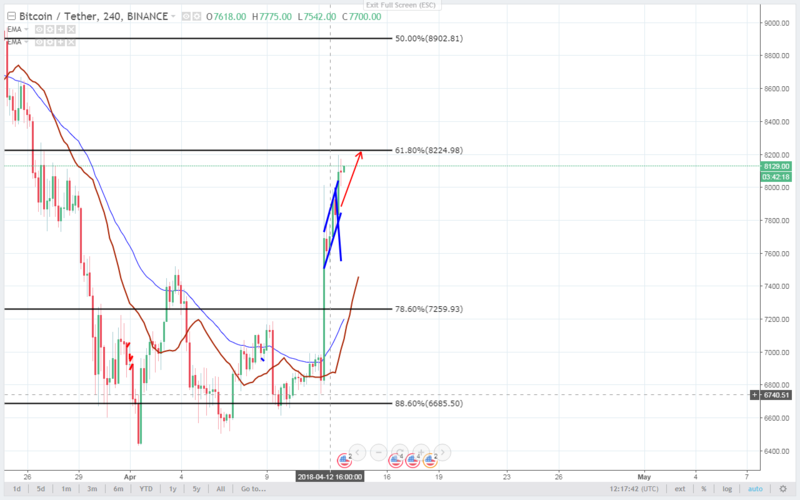 Source as we see the markets are rebounding strongly as a day trader I'm anticipating that $10k potential resistance.UPVOTED! Let´s sure hope that this is the beginning of the bull market again and the Nov-Dec 2017 would repeat itself. 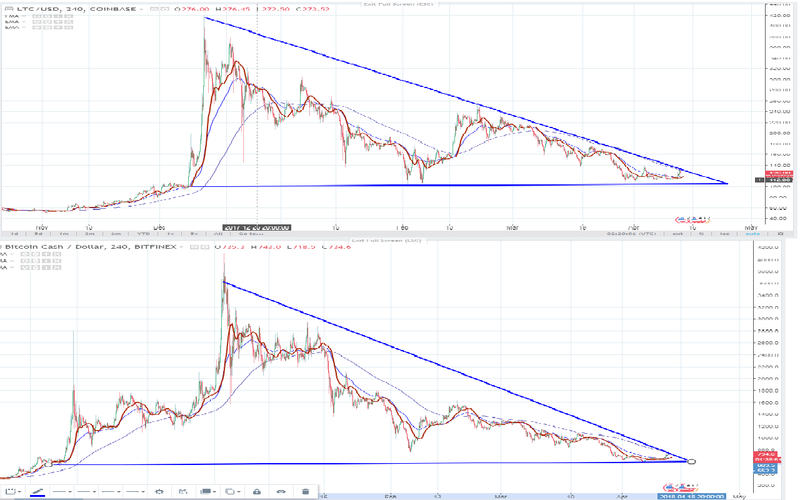 I have a small holding on ETH/EUR BTC/EUR, XRP/EUR and am glad altcoins are tagging along. Upvoted! we all hope ma'am that we will have a strong bull run in the following days. Thanks for the Upvote!